The Office of Administrative Law provides training courses to state agency staff on rulemaking under the Administrative Procedure Act. This includes a comprehensive 3-Day training class as well as a separate 3-hour class dedicated to underground regulations. The 3-day APA rulemaking course includes comprehensive instruction on rulemaking requirements under the APA. Students will learn about rulemaking procedures, when regulations need to be adopted, how regulations are adopted, and what OAL looks for when reviewing a regulation for compliance with the APA. NOTE: All training dates are full at this time. Please fill out the form below to be placed on the waiting list. You will be contacted when an opening becomes available. Please note that due to the high demand for this training, it may be several months before a seat becomes available. Please direct any inquiries you may have to training@oal.ca.gov and include “3-Day APA Rulemaking Class” in the subject line. Location of Training: OAL Training Center, 300 Capitol Mall, Suite 1210, Sacramento. Pre-enrollment registration/reservation: Due to the high demand for the class, we are maintaining a waiting list of students. If you are interested in getting on the waiting list, please enroll using the form provided below. You will be contacted when openings become available. Enrollment for a specific class will be confirmed once you receive a confirmation email. You will then be requested to make payment. Payment is required prior to class attendance. Cost: $420 per person. Once you are confirmed for a spot in the class (per above), payment must be made by check, payable to the State of California. If you are mailing payment, please send to 300 Capitol Mall, Suite 1250 (main office), Sacramento, CA 95814, Attn: Rulemaking Class Registration. Future Classes: We will announce future classes when dates become available. All fields must be completed in order to register for this class. Date and Time: To be announced. 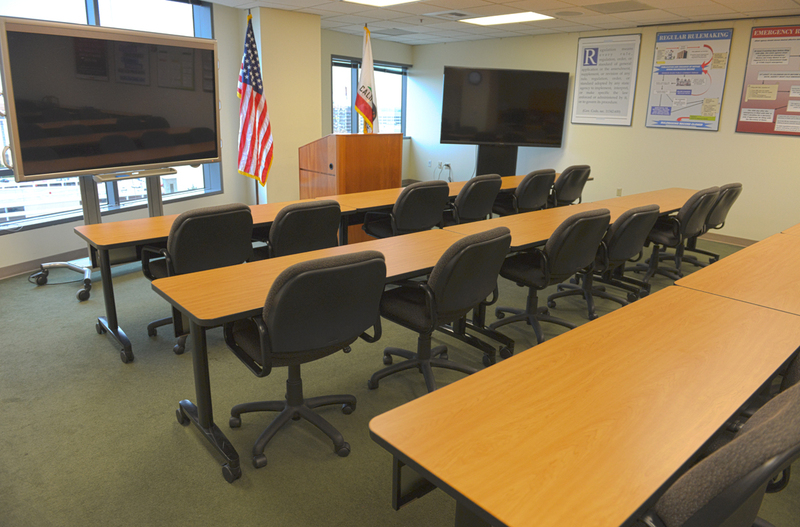 Location of Training: OAL Training Center, 300 Capitol Mall, Suite 1210, Sacramento, California. Pre-enrollment registration/reservation: Please enroll using the form below. If you have questions about the underground regulation training, please email OALURTraining@oal.ca.gov. Cost: The training is free, but space is limited.